We would have been right there with them. Waiting in line at a Disney theme park is a tale as old as time, especially at Disneyland, where far fewer rides that Disney World have FastPass. Well diehard fans of “Beauty and the Beast” recently added some more waiting to their Disneyland visit, this time queuing for up to FIVE HOURS to get their hands on a limited-edition tumbler. Disneyland changed their Village Haus restaurant in Fantasyland into the Red Rose Taverne in honor of the soon-to-be-released live-action “Beauty and the Beast” film. Visitors were able to take advantage of the temporary transformation and even walk away with a souvenir, a tumbler that looks just like the enchanted rose from the movie. Folks reportedly waited for hours to get their hands on the $15 product. The clear plastic tumbler encases a plastic rose that even lights up and comes complete with a lid and a straw, perfect for an ice-cold drink on a hot day at Disneyland. And the more you sip, the more you’ll reveal the red rose inside your cup. Of course, it would also look great on display on a bookshelf somewhere because, honestly, it might be too special to ever be used as it was intended, you know what I mean? If you were hoping to get your hands on one of these, I have bad news. After the queue of people died down, the tumblers were all gone. So, it may be pretty tough for you to get hold of this very special drinkware unless you’re willing to shell out some cash on eBay. Prices already range from $76 to well over $100 on eBay, in fact. So, just how badly do you want to get your hands on this tumbler? Well, that’s for you and your wallet to decide! 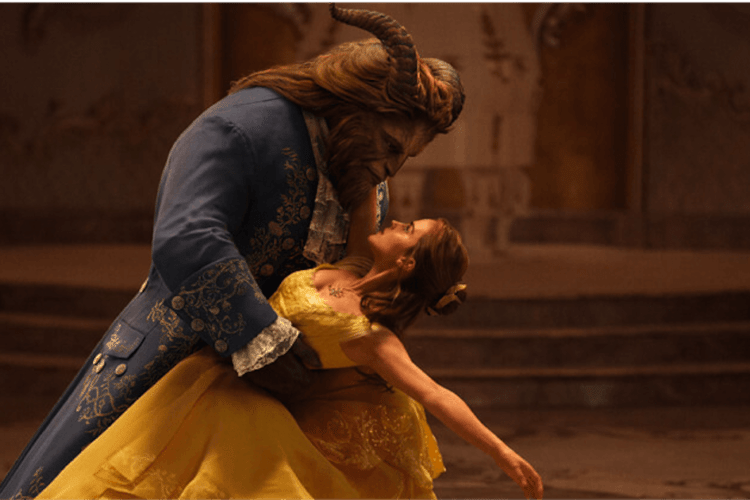 Even if you don’t walk away with the cup, don’t worry, because there are more than enough other “Beauty and the Beast”-themed products out there for you to buy—pretty much everything, actually. So get shopping and get excited to see “Beauty and the Beast” in theaters as soon as Mar. 17 comes around!